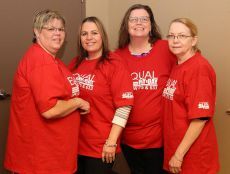 From coast to coast, working women and their allies wore red to symbolize that women are ‘in the red’ when their salaries are compared to their male colleagues’ earnings. 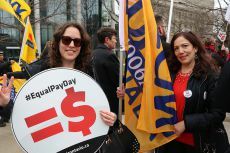 According to the Ontario Equal Pay Coalition, the average woman must work 15.3 months to earn what a man earns in 12 months. 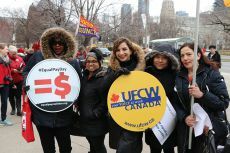 In observance of Equal Pay Day, dozens of UFCW Canada activists joined other pay equity allies near the Ontario Legislature to call for fairness and equality, and to bring awareness to the issue of gender wage inequality. 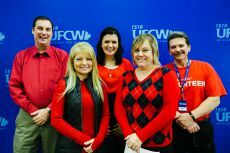 Later in the day, UFCW Canada officials and allies met with Ontario NDP MPPs Cindy Foster, Peggy Sattler, and Monique Taylor, as well as the Ontario Minister for the Status of Women, Harinder Malhi, to discuss solutions for closing the gender wage gap. 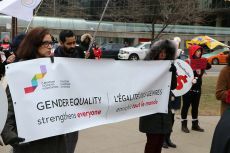 Activists also advocated for stronger pay transparency legislation, publicly funded child care, and easier pathways towards unionization. 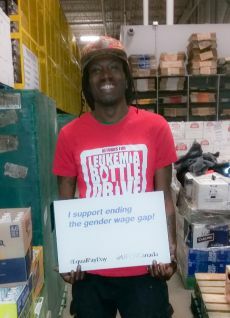 “UFCW Canada will never stop working to raise awareness of this important issue until we close the gender wage gap once and for all,” says UFCW Canada Ontario Regional Director Debora De Angelis. 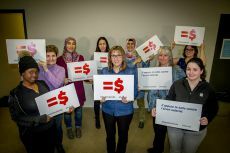 “Solutions for closing the gender wage gap have been known for decades, and there is no better time than the present to take action. 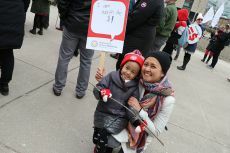 We must all work together to ensure that our daughters will be paid the same as our sons,” she adds. 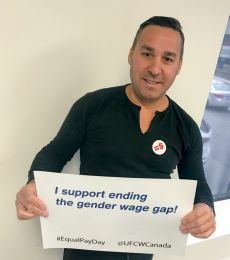 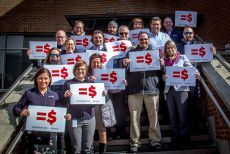 UFCW Canada’s participation in Equal Pay Day actions across Canada is part of our union’s ongoing effort to close the gender wage gap and achieve equity for women workers in Canada. 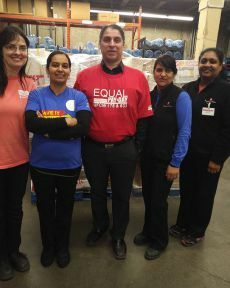 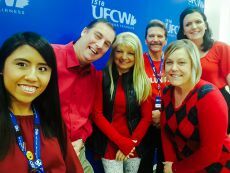 For more information on UFCW Canada’s advocacy efforts for women, visit our Women and Gender Equity Committee webpage.